This book tells the story of French interaction with Vietnam and the neighboring region, which began with the French seizure of Cochin-China and Tonking in the 19th century under Emperor Tu Duc and ended with their humiliating defeat at Dien Bien Phu in 1954. After the conclusion of treaties with China in the nineteenth century, Western nations sought access to the resource-rich region of Yunnan. After attempts at exploring the Mekong River, the French turned their sights to the Red River. Only after Jean Dupuis successfully linked Hanoi with Yunnan was Admiral Dupre able to begin the conquest of Tonking. 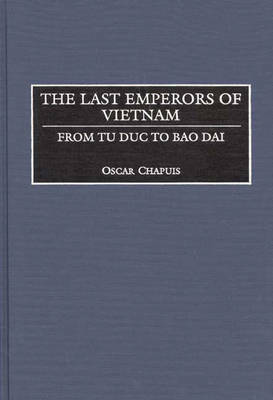 This volume begins where Chapuis's History of Vietnam left off, completing the colonial history of Vietnam. The decline of French authority in Indochina began with Japanese demands and subsequent occupation during World War II. The 9 March 1945 Japanese coup would mark the beginning of the end of French supremacy; however, French authorities would return with troops to confront the Vietnamese demands for unity and independence after Japan's defeat. Although an agreement between Sainteny and Ho Chi Minh would allow the French army to land in North Vietnam, the creation of the southern Republic of Cochin-China would be a move that ran counter to Vietnamese nationalist sentiment. Nine years later, the French found themselves ousted from their former colony.